I hope that you are having a great day today! Today I wanted to share with you some quick decks suggested by cards in the first week of Spoilers for Guilds of Ravnica. When I see a card like Impervious Greatworm, I see it as a personal challenge to my Inner Johnny. How fast can I convoke out this 16/16 indestructible that costs 10 mana? How quickly can I break it into little pieces? Let’s see! I could push Green tokens hard and get . . . maybe some stuff quickly. The best I can do with 1 mana is . . . maybe . . . two dorks, but you need an accomplice or someone who really loves squirrels. I also added in some other one-drops. Ever since Raise the Alarm, there are a ton of effects at 2 mana that can make two dorks. There aren’t many ways to make three dorks for 3 mana, but a few, like Hordeling Outburst, exist. You also have the hard-to-cast on the mana Rith's Charm that makes three Saprolings for 3 mana. You also have Weaponcraft Enthusiast who can be an 0/1 and two 1/1 Servos. But I didn’t dip into his mana. 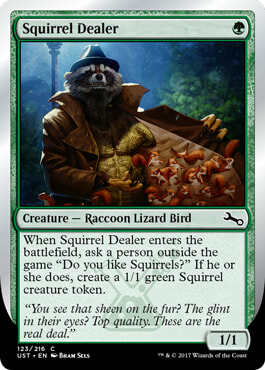 Without the free Squirrel off the Dealer, you have 6 creatures on turn three. (You’d have 7 dorks with it). On turn four, with four land drops, you can cast Impervious Greatworm with Convoke and tapping four lands. And there we are! Note that I tossed in a few cards to help with convoking some fun. You have a copy of Chord of Calling to fetch a Greatworm from the deck. 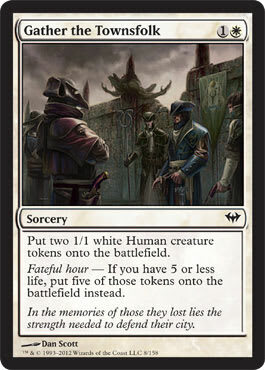 You can also Sprout Swarm or drop Hour of Reckoning to sweep all non-token dorks from the table. Check out the power of Scatter the Seeds. 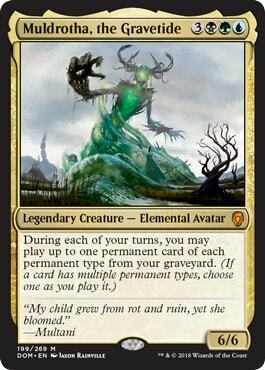 You can convoke it on turn three with 3 mana and two bodies, or vice versa, to prepare for your 4th turn powerhouse. Looks good! All right, that Challenge continues . . .
Now if you can find a way to drop your life fast, then you could Gather the Townsfolk for five dorks! You could also try some crazy shenanigans with Kuldotha Rebirth. Now can I do a little faster than 4th turn? Is there a way to break one of these into smaller numbers? 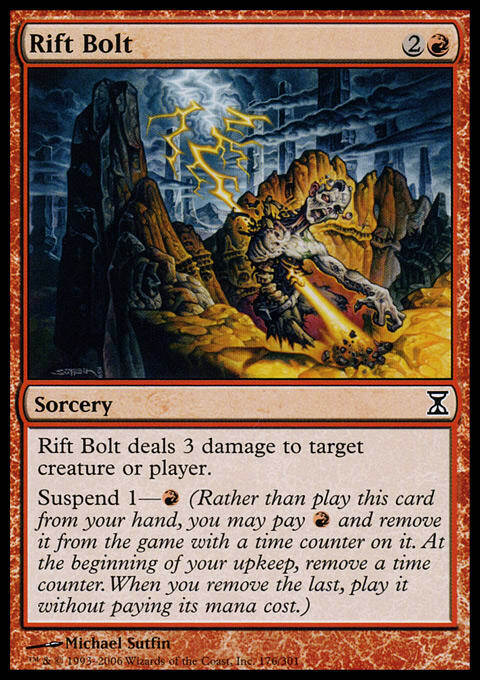 1st Turn – Drop Artifact Land, and Mox Opal, and one other free artifact (There are tons of options available. My preference is Lotus Petal, although you could also drop Mishra's Bauble, Urza's Bauble, or something similar). Cast Servo Schematic. 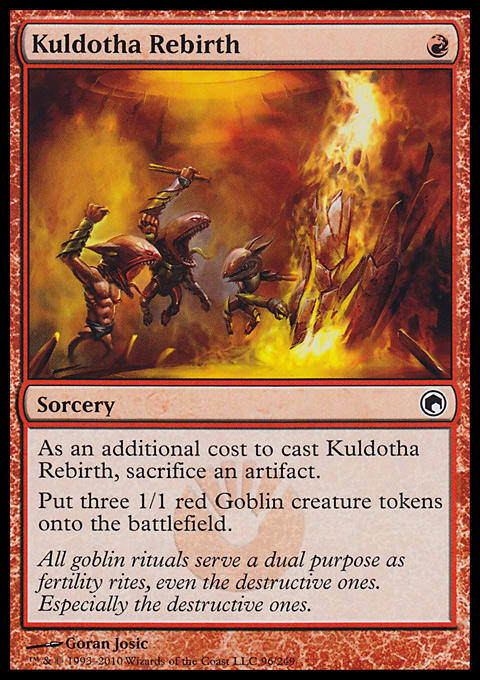 2nd Turn – Cast Kuldotha Rebirth. Sacrifice Servo Schematic. 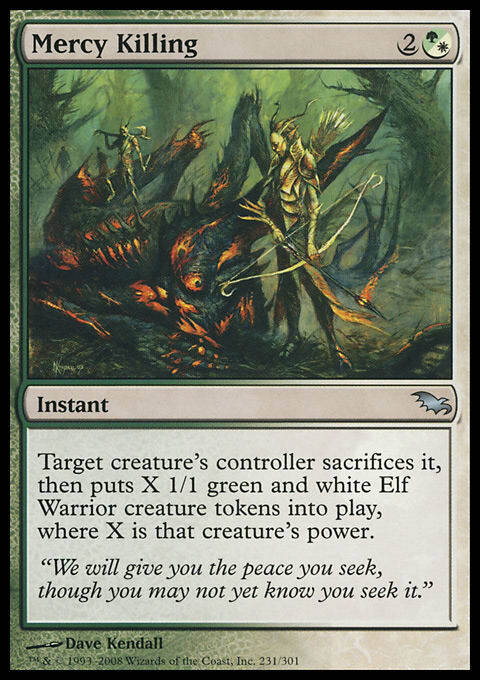 3rd Turn – You have 5 token critters, and 4 mana. Just one shy of the 10 you need. All you need is an extra mana anywhere (Lotus Petal? Another artifact mana?) and you can get your 16/16 indestructible smash on. Note that its ability triggers on arrival and goes on the stack, giving you the chance to respond. You need an instant to respond with. Enter Mercy Killing. It’ll sacrifice the Dreadnought, and then give you 12 dorks that are, conveniently, the proper colors to convoke out your giant Worm. You won’t even need to tap those lands! Impervious Greatworm for the Great win. You could even convoke the Worm after you’ve tapped out. With no mana acceleration, this is a 4th turn Worm with 12 1/1 tokens as well. With a first turn Llanowar Elves, this is a 3rd turn combo. All you need for the 2nd turn is something mega-fast. 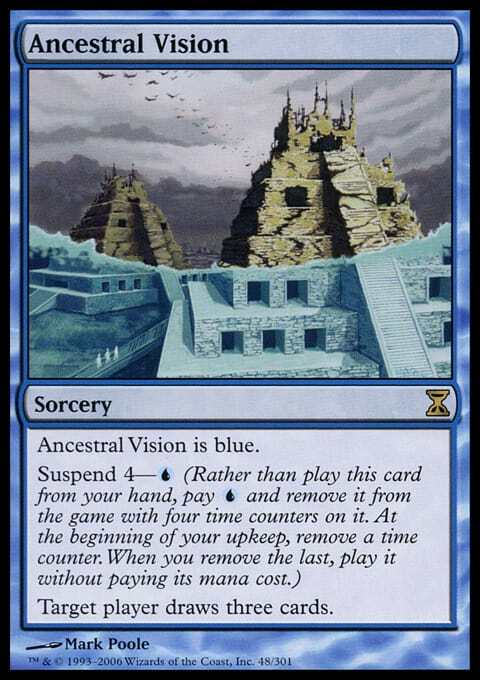 Maybe Ancient Tomb as your land or Mox Diamond? Then you have 4 mana on turn two. Lotus Petals? Etc. This works, and it gives you two ways the win, the mass of 12 1/1’s and your giant 16/16 indestructible Worm! I’m sure the Johnny’s here could find a Gather the Townsfolk combo to break as well. Anything else that recommends itself? Any other thoughts? All right, now the challenge is complete, and my mind is at ease. I can sleep easily without being bothered by visions of Greatworms. I ran the original Ral Zarek in Standard when I had this cool Izzet spells-matter deck that worked with Guttersnipe and Young Pyromancer to strong effect. The new Ral has a lot of options that you can look at. The +1 is strong card drawing that you expect from a five-mana walker. 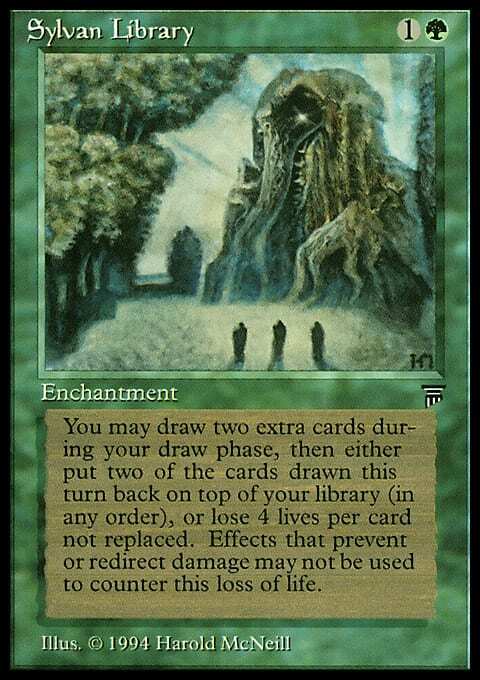 Most four-mana ones give you weaker drawing (like Red’s impulse drawing to discard and then draw) or to just have raw card-drawing, but the 5 mana ones add in something else, like scrying or such, to the question. Ral can hook you up with the best of two cards from your deck, and toss the other right on into the graveyard. 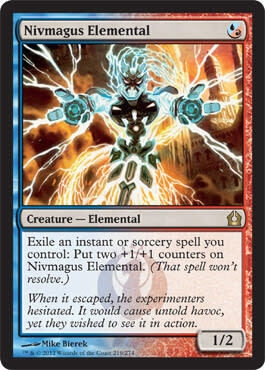 The obvious home for him is with spells that flashback or the new Izzet ability jumpstart. Toss those sorceries or instants into your ‘yard, and then when you cast them, they get all exiled. Thus they will help amp up that -3 ability by lurking in your discard pile or your exile zone, and then you rack up the damage. There is another way to rack up the damage quite quickly though that’s in your colors. This is Ancestral Vision. It’s a nice card. You can suspend it, and that means it’s exiled until it resolves, when it heads to the graveyard. Either place suits Ral perfectly. He’s happy to see it there, and can get another 1 damage deal from his -3. 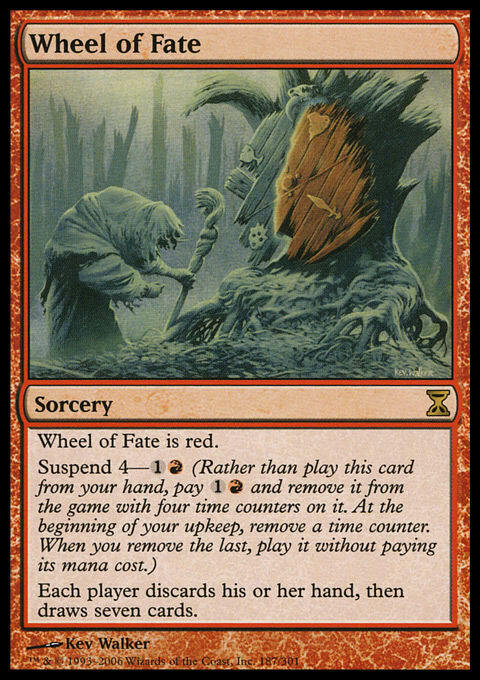 I love Wheel of Fate here because the cards you discard will also amp up Ral by lingering in that cool graveyard of yours. Ready for the deck? There you are; in honor of my old Standard deck, I tossed in the Pyromancer and Guttersnipe for you! I have some additional cards that play well like Capsize, Deep Analysis and other fun cards. Note that the normally awesome Past in Flames does nothing for you here. Past in Flames is going to hate sitting on the sidelines while it watches as you can’t cast Ancestral Vision, nor Wheel of Fate, and something like Rift Bolt is too expensive at 3 mana to be manageable. So sad. But the deck works! Note that Ral can’t shoot players, so you’ll need to kill with burn, Guttersnipes or Pyromancers. For that reason, I added some Wandering Fumaroles to the deck to help give you bodies while smoothing that mana of yours. And there we are! Ral-tastic! 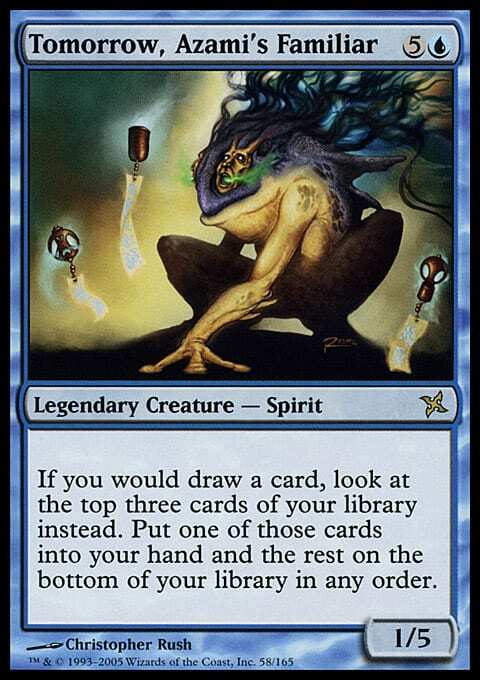 This card reminds me of Tomorrow, Azami's Familiar. This is Tomorrow, a card that I’ve always enjoyed and thought was underplayed at the kitchen table. Tomorrow is currently in two of my decks. The Underrealm Lich is better because it’s cheaper, bigger, self-protects for four life, and it’s card-drawing replacement ability is arguably better. When you draw those two cards with the Library, then you have to put two back or spend some life. But if you replace that card draw, then the “if you do” clause doesn’t apply. In other words, you can replace the Library’s extra two draws (and your free draw) with even better draws and get three Impulses per turn for free, save that the extra cards head to the graveyard instead of your Library. The Sylvan Library is a powerful partner with your Lich. Lots of other cards would work here as well. How about something else in this set, like, say, Narcomoeba? You can grab a few Narcomoeba’s by putting them into your graveyard with your Lich lord. This leads me to the three colors that make up Sultai. So why not embrace that? 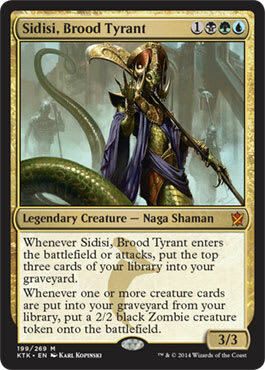 This is very much Sidisi’s deck. Our favorite Naga Shaman has a strong board presence. She can arrive quickly, and when she does, she self-mills a little and creates triggers for dorks hitting your graveyard. She sets up that cool interaction with Underrealm Lich and Sylvan Library. Just send dorks to the ‘yard, and make a ton of 2/2 Zombie tokens. Sultai Soothsayer is another dork that can basically one-shot your deck on a single arrival to the battlefield, but it adds to your creature density, which is important in this deck. I didn’t want too many non-creatures considering the powerful intoxicant they are when on the field together. I’d rather run this than cards like Bitter Revelation or something similar. It can grab Narcomoeba’s or other friends. In a very real sense, this is also Muldrotha’s deck as well. I tossed in cards to make Muldrotha great again. You can play one permanent/turn with her, so a stocked graveyard in a happy graveyard. I tossed in dorks that sacrifice for lands (Burnished Hart, Wild-Field Scarecrow) which you can recur either as artifacts or creatures in order to keep the mana flowing. You can recur a key dork, a dead Sylvan Library, or a Terramorphic Expanse. 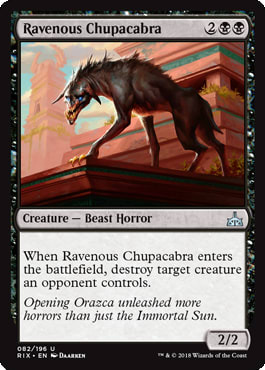 How about a Ravenous Chupacabra to kill something? There’s always some card flow happening! You can easily get two Sylvans into play with this deck and Muldrotha. That’s 18 cards/draw step! We need to reload that library. How about a single copy of Feldon's Cane? 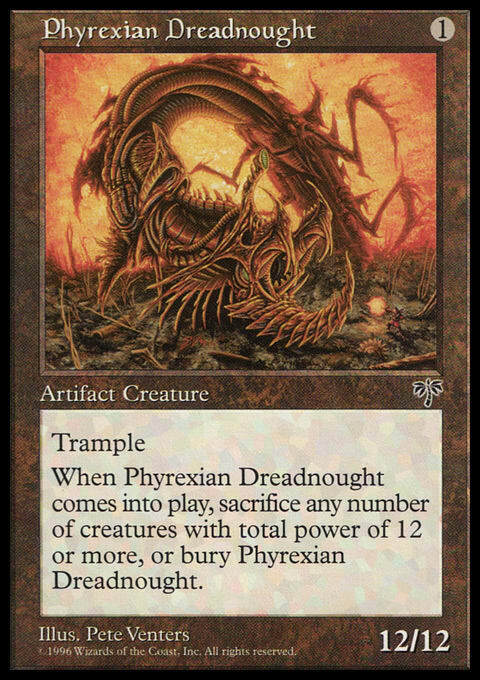 You can recur it with Muldrotha as well. And there we go! Underrealm Lich (and Narcomoeba) for the win! I hope that you enjoyed this deep dive into three recently spoiled cards from Guilds of Ravnica. Anything in here inspire your own deck-building? Any combos I missed? Anything on the Impervious Greatworm challenge that I didn’t see? Thanks for reading!